As some of you may know, being a new, newer and/or newish author comes with many "To Dos" if you want to become a successful author. What is success? That's for you to decide, but for me, it's finding an audience that can relate to what I write, who makes the stories in my head and heart worth putting down on paper. It's an intense process, so I don't take writing lightly. But I can't find success for myself if my audience doesn't know who I am. Helping them find me is not only a big deal, but a big job. Well, I'm a lover of animals and nature, of wine and Mexican food, and of baring my soul through writing. I'm compassionate and fiercely protective, and fascinated by the world around me on so many different levels. But who knows this about me? Not many people, at least not aside from my close family and friends. Since the first Ending Series book was published in 2013, After The Ending, my co-author and I have spent endless hours focused on the success of the series as a whole--seeking out promotions and mingling with fans and building The Ending Series brand, and so on. But one important question I never took the time to consider was...what happens after The Ending Series has come to a close? We both always knew we wanted to take on our own projects once we had time to focus on them. 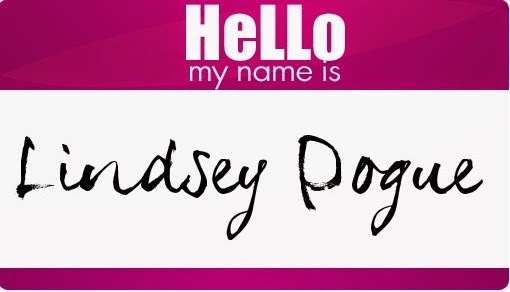 But Lindsey Pogue is Lindsey Pogue. She isn't Team Lindsey. There won't always be a Team Lindsey. So that's why I need to focus on little, ol' me. An author platform for yours truly is something I should have been building from day one. What do I like to write? Why? The list of questions goes on and on, and they are very important questions, because who I am distinguishes me from all other authors, keeps me connected and relevant in the writing world and to the audience that enjoys what I write, just like establishing an author platform will do for you. I'm finally taking the time to make my individuality a priority. Webinars help me stay focused. I'm a visual person, and I lose interest in the daily flood of emails easily, the newsletters, the manuals and books, the magazines and websites. That's why I've decided webinars are generally the best way for me to learn, stay inspired, in the ever-changing loop of book marketing, as well as stay involved in the writing community. *There are some really great FREE webinars out there that you should take the time search out and attend. What can it hurt? Figure out who you like, who you don't, what you really want help with and what your focus should be. Don't get me wrong, paying $135 or $300 for a webinar isn't a bad thing, but why jump into something you're not sure you'll appreciate? As an author on a budget, I just think it's smart to be cautious before throwing money around. Overall, webinars are AMAZING tools all newbies to the publishing field should take advantage of whenever possible. The more experts you follow online (sign up for their newsletters or follow their blogs), the more "in the loop" you'll be with the services that are out there, available and waiting for you to take advantage of. Tim Grahl - Out Think Marketing - has a great step-by-step program about how to build you author platform. I'm not sure why, but there's something about Tim that I love...I get the feeling he's just a really decent guy. Anyway, after listening to him, I was inspired to create my own action plan and timeline for my author brand. Danny Iny at Firepole Marketing - Here are some free tools you can access. Nick Stephenson's Your First 10,000 Readers - I haven't personally attending any of his webinars or enrolled in any of his programs.